London as the most happening city has something always going on. To enjoy the summer in London is also an opportunity to partake or watch those events and unwind with family or friends. After the din and bustle of a mechanical life there comes a time when an escape to a quieter place is really desired. Hyde Park is the best place for it. Hyde Park stands tall with its appealing charm and natural beauty. Those planning to spend summer in a Hyde Park, property options are plenty. Hyde Park for summer sojourn is most appropriate because the regular access it will open up before you. The park with an expanse of more than 600 acres is a green space marvel where joggers, tennis players, cyclists and people who want to relax make their delight in the luscious green surroundings. Facilities for boating and other activities make the unwinding more beautiful. Hyde Park has everything to offer—be it horse riding, swimming, boating, cycling, tennis or even games like cricket and rugby. With its interesting attractions like serpentine lake, Lido and the art gallery the interest for the picnic never subsides. The Kensington Palace, Peter Pan statue and the Diana Memorial playground will enthrall the kids and teens. As the well connected London attraction, Hyde Park is easy to reach with its underground stations such as Marble Arch, Knightsbridge, Lancaster Gate, Queensway and Hyde Park Corner. Living in Hyde Park also throws open the easiest access to London’s most famous shopping districts like Knightsbridge and Oxford Street. The shopping outlets are also in the vicinity of fantastic restaurants where you can explore your culinary cravings. As far as the Hyde Park properties are concerned, great variety is the hall mark. There are townhouses, modern flats and apartments to choose from. The areas around Hyde Park vary in terms of the value in rentals mainly in of residential properties such as houses, flats and apartments. The affordability increases to the north of the park in places like Maida Vale, Westway, Edgware Road and Kilburn. Bayswater lying to the west of Hyde Park is a very lovely area and the properties are of high value. 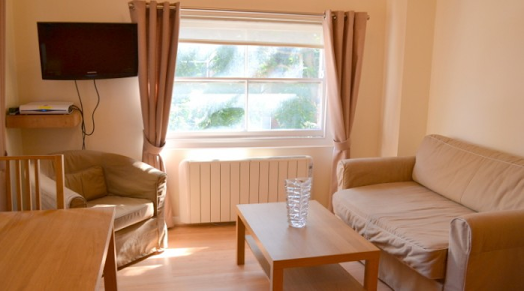 Among the Hyde Park flats to rent, you have choice in the flats at Garden House, Grand Plaza, Lancaster Gate, and Bathurst Street which are known for their nice interiors and pleasant environs.